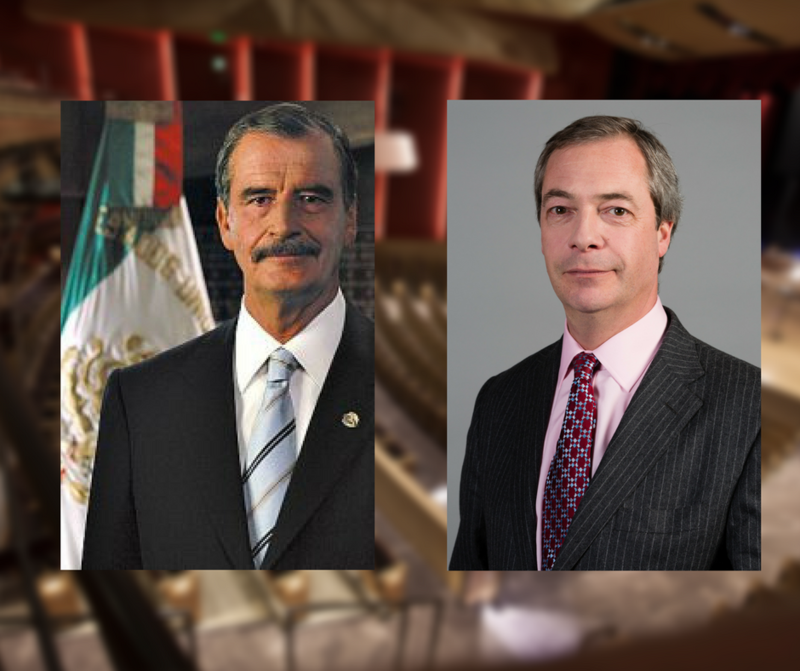 The former president of Mexico and the architect of Brexit will speak in a moderated debate “Nationalism vs. Globalism” April 3 on the UCCS campus. 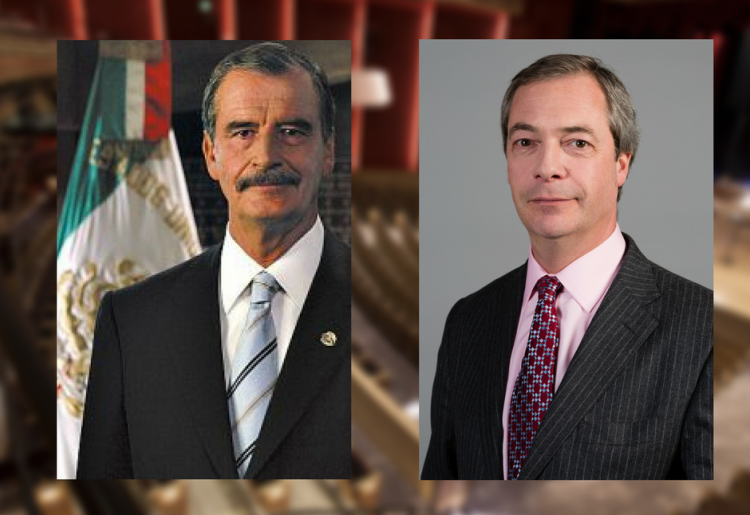 Vicente Fox and Nigel Farage will visit at the invitation of the UCCS Center for the Study of Government and the Individual. Tom Rogan, a columnist for the Washington Examiner, will serve as moderator. The debate begins at 5:30 p.m. in the Shockley-Zalabak Theater at the Ent Center for the Arts. Admission is free for UCCS students and tickets can be picked up in person at the Ent Center box office. Faculty and staff can purchase tickets for $20 and general admission tickets will be $40. Online purchases are available through UCCS Presents or by calling 719-255-3232. Farage is a British politician who led Brexit, a 2016 referendum that started the departure of the United Kingdom from the European Union. He was a founding member of the UK Independence Party and led the party from 2006 to 2009 and from 2010 to 2016. Fox was the president of Mexico from 2000 through 2006 as the first president from an opposition party since 1910. He worked to control inflation and interest rates, and Mexico achieved the lowest unemployment rate in Latin America during his term. UCCS is the second stop on the Campus Liberty Tour by The Steamboat Institute. Farage and Fox will visit CU Boulder April 2, the University of Maryland April 5 and Lafayette College in Easton, Pennsylvania, April 6. How can UCCS students reserve tickets?”UCCS Presents” only offers paid tickets. What is the reasoning for only having discounted tickets for faculty and staff, but not students? Tickets are free for UCCS students. They have to be picked up in person at the Ent Center Box Office. How can UCCS students reserve tickets? There are only two options to choose from, either $20 or $40! UCCS students can only reserve their free tickets in person at the Ent Center Box Office. Will there be an internet link so Nigel’s legions of supporters in the U.K. can watch this debate live?